Dorsa Derakhshani, 19, who was born in Tehran, was forbidden from playing by the Iranian Chess Federation following the Gibraltar Chess Festival in January, US Chess said on its website. 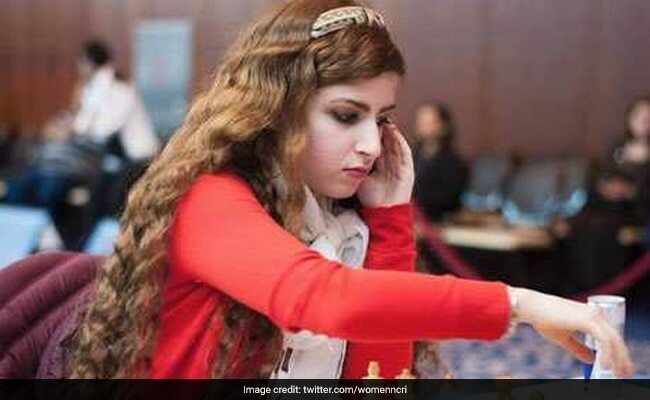 New York: A leading Iranian chess player, barred from her homeland's team after refusing to wear a headscarf, will now compete as a player for the United States, the US Chess Federation said. Dorsa Derakhshani, 19, who was born in Tehran, was forbidden from playing by the Iranian Chess Federation following the Gibraltar Chess Festival in January, US Chess said on its website. She did not wear a hijab during the event. Since then, she has moved to the United States where she attends Saint Louis University and plays for the school's team. Derakhshani will now compete as an official United States chess player, US Chess posted on its website this week. US Chess is the national governing body for chess competition, sanctioning championships and overseeing player rankings. "It feels good and ... peaceful to play for a federation where I am welcomed and supported," the website quoted Derakhshani as saying. On a U.S. radio broadcast last week, she said: "I'm looking forward to finally having a stable trainer and a team, and I really wish to become grandmaster." She also said she hopes to become a dentist. Derakhshani holds the titles of International Master and Woman Grandmaster with the World Chess Federation (FIDE). A few weeks after the Gibraltar competition, the Iranian Chess Federation announced it was banning Derakhshani for not wearing a hijab. It also banned her brother, who had played an Israeli player in Gibraltar, US Chess said. Derakhshani said on the National Public Radio broadcast that she had competed before without a headscarf and thought the ban was issued for other reasons. The announcement was made during the Women's World Chess Championship in Tehran, and all three Iranian competitors had lost in the opening round. "So in the middle of all this, they needed another distraction ... which worked perfectly," she said in the broadcast. "Everybody started talking about us." Several top players including the U.S. women's champion Nazi Paikidze boycotted the Tehran competition because players were required to wear a headscarf, US Chess said.